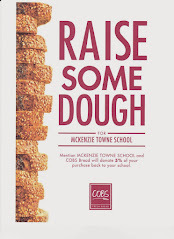 McKenzie Towne School Parent Association: MTS Flight 2010 Raffle! The MTS Flight 2010 winter celebration is only a few days away. The MTSPA, along with the school, will be holding a raffle at the event. The school will be raffling a set of hand painted suitcases and a framed print, both created and generously donated by Mr. Snashel. Funds raised from these raffle items will go to music resources. Please take a moment to look at these beautiful items. This prize is valued at an estimated $400.00 The school items and the MTSPA package will be raffled separately with tickets selling for $5 each. You can purchase tickets at either the afternoon or evening performance. The draw will be made following the evening concert and the winning ticket numbers will be announced and posted on www.mtsparents.com. We will also have some remaining SUTP books for sale for anyone who is interested. The cost is $20 per book, with full proceeds going to the MTSPA. We are excited about the first performance in our new school and look forward to seeing everyone come out to support our children!